After growing up horse-crazy and book-loving in Nipigon, Ontario, Canada, Karen Autio now lives in Kelowna, British Columbia, only a little less horse-crazy and far more book-loving. 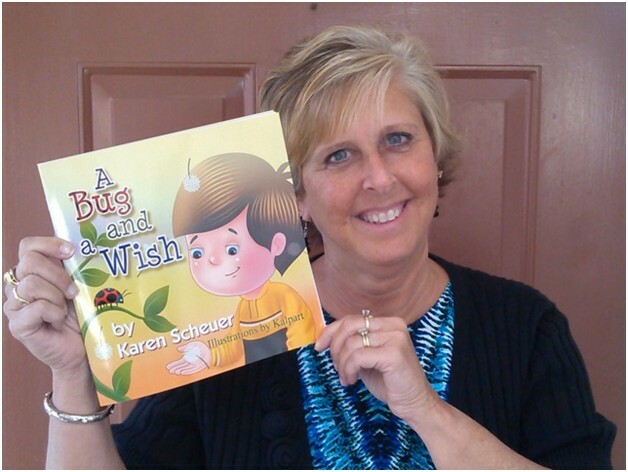 Karen graduated from the University of Waterloo and worked as a software developer for several years, then decided to pursue her long held dream of writing for children. She signed up for a “Writing Fiction for Children” course at the local college, joined a writers’ group, and began writing—and re-writing—her stories. 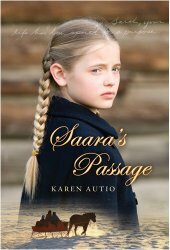 Karen is the author of a trilogy of historical novels for readers ages 10 and up: Second Watch, Saara’s Passage, and Sabotage. 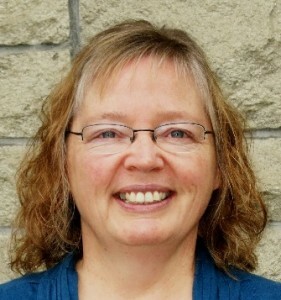 She loves to interact with students, sharing her journey to becoming an author and her passion for research and the resulting “jigsaw puzzle” of transforming historical facts into a fascinating story. Tell us about your latest published children’s book. Who do you think should read it? What are you most proud of? 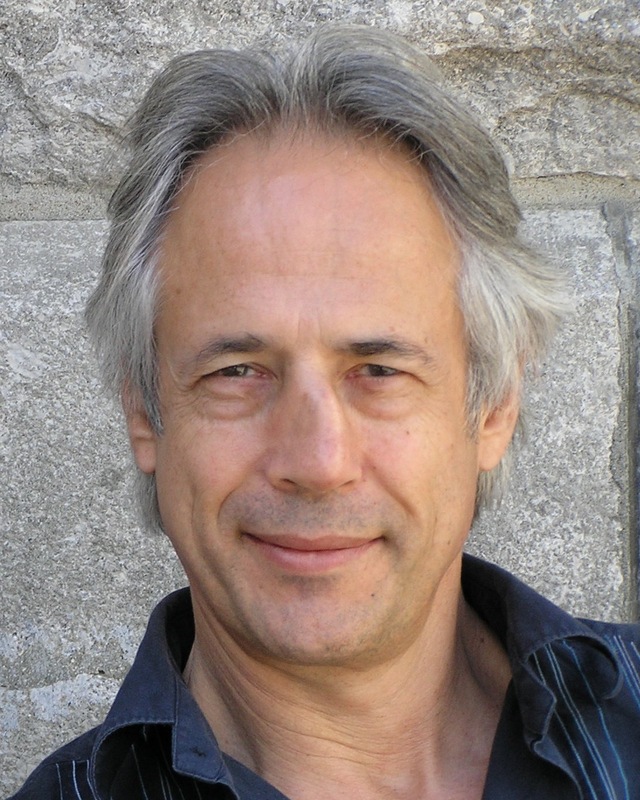 Sabotage, enemy aliens, paranoia, and German spies… in Canada? 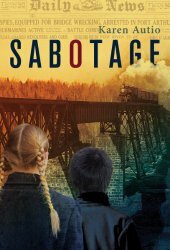 Sabotage is the third book in my trilogy of Canadian historical novels for young readers (all standalone reads) in which the courage and wits of siblings Saara and John Mäki are put to the test. The trilogy tells the adventures and mishaps of this Finnish-immigrant family living in Port Arthur (now part of Thunder Bay), Ontario, in 1914-15. From travelling on the palatial but doomed Empress of Ireland steamship, to tuberculosis sanatoriums, to the compelling untold stories of the home front in Canada during the First World War, these books bring history to life. Readers discover both how much has changed since the early 1900s and what remains timeless, such as fickle friends, new-immigrant experiences, the struggle to do the right thing, and family dynamics. Sabotage is suitable for any age of reader from grade 4 up and is of equal interest to boys and girls. Partly that’s due to the story being told by both Saara and her younger brother John, in alternating chapters. I’m delighted that through doing research I learned the truth behind what I thought was a made-up story I’d heard growing up in Nipigon, Ontario. There actually were German agents at work in my hometown in 1915 plotting to destroy the Canadian Pacific Railway bridge. Sabotage is a 2014 Arthur Ellis Award for Best Juvenile/YA Crime Book Finalist and is shortlisted for the 2015 Manitoba Young Readers’ Choice Award. Thinking back to your own childhood, is there a particular author or illustrator who was a favourite? Why do you suppose that person’s work resonated with you? Rosemary Sutcliff. Her historical novels drew me into their time periods. The characters and settings seemed so real, I felt like I was living the story. After immersing myself in one of her books for several chapters, I’d look around me, puzzled. Where am I? In particular I remember enjoying The Eagle of The Ninth and The Lantern Bearers. I’m not surprised that her writing resonated with me because of how historical fiction has become my favourite genre to read and write. Tell us about your experiences sharing your book with children. Has anything unusual / endearing / funny / unexpected happened? Two experiences come to mind. 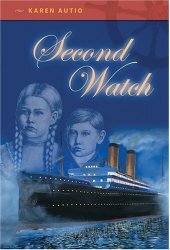 At a recent presentation to elementary school students in an Ottawa public library, the majority of them had read my book Second Watch in which my characters are involved in the Empress of Ireland shipwreck. After my presentation, a boy handed me a piece of paper. He’d been so affected by the story and the tragedy, that he’d written and illustrated a poem for me about the Empress of Ireland. What a special gift. The other experience resulted from my presentation in a school where I did a reading from Second Watch. Afterward, the librarian told me a student who hated reading informed her he just had to get my book and read it. A couple of weeks later I received an email from the librarian saying the boy’s attitude had changed from hating reading to “I can read this!” What an honour to have been part of that transformation. How do you stay connected with your readers? I have a website and an author Facebook page where I regularly post information relevant to children’s book publishing and writing, my book news, and photos from my book tours. I’ve had the privilege of going on several book tours, in B.C., Alberta, and Ontario. I love meeting readers whether at school or library presentations or at signings in bookstores or at book clubs. My grade 5 student editors for Saara’s Passage became friends with me on Facebook and I still keep in touch with them that way (both just graduated from high school). Whenever a reader emails me, I’m happy to reply. What are the joys of being an author? What do you derive your greatest pleasure from? There is certainly joy and satisfaction in the writing, but I’d say my greatest pleasure as an author is to hear from readers about how they’ve connected with my characters and stories. One of my favourite emails from a young reader included her describing my books as “real page turners” and then sharing her response to my character Saara: “I think we would be friends if she was real.” Also, it’s such a delight whenever my books and presentations inspire writers of all ages and get kids reading who were reluctant or infrequent readers. If you weren’t an author, what sort of work do you envision yourself doing? Have you had other careers or do you have another career now? As a kid, my future dream job alternated between children’s book illustrator and jockey! Although I still enjoy drawing, writing has become my passion. And before entering high school I’d already grown too tall to be a jockey. For several years I worked as a software developer, and since 2004 when I’m not busy writing I’m editing other writers’ manuscripts as a freelance copyeditor. Do you do school or library presentations?